Delivering a great customer experience is the objective of each and every brand that deals with consumers on a daily basis. Businesses always look for ways to achieve this either by employing various marketing methods, using the latest technology or executing the most profligate tactics to entice customers. Some work while others are not as effective. In our extensive experience working with brands from various industries, we found the following factors to be the common denominators that allow them to deliver the best customer service experience possible. Add these to your objectives and take the next step towards stronger brand recognition. Although it’s true that customer experience is catching up with product quality as the main brand differentiator, your customer service might not be the initial reason a customer chooses to do business with you. First and foremost, it is the quality of the purchase that catches the attention of potential customers. Eventually, you should create a balance between offering great customer service and high-quality products. When these two exist in harmony, customers will be less likely to look at the price of your products and services. Richard Kestenbaum on Forbes states the following regarding a company’s transition from only being able to sell products at a discounted rate to helping customers see the value of the products they are purchasing at full price. Brands that can communicate their value system to consumers and create a compelling environment or store can get consumers to pay full price and be happy they did. These are not just marketing questions, they are important for whether consumers come back and what brands can ultimately charge for their products. 2. Make things easier for customers. When the quality of your goods matches your competitors, customers typically choose the brand that makes the buying (and returning) process more enjoyable. Providing a great customer experience the moment a customer enters the store or sends you a message online is a great way to attract potential customers and retain existing ones. They say first impressions last, so make your processes smooth for your customers. Employees must be knowledgeable about your organization’s products so they can explain the most relevant benefits and give customers what they want the first time, every time. Remember that every moment is important not only for you but also for your patrons, so make sure every engagement adds value. As with any kind of relationship, communication is key to making it last. Customers today are always connected online and expect businesses to be as well. 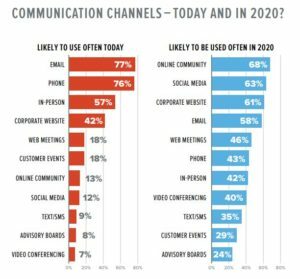 Having a multi-channel setup has become the standard for companies, as it promotes accessibility and engagement. Can people contact you online, via text and landline? Can they easily find employees to talk to during in-store visits? What about on social media? The important thing is to be able to represent your brand well at every possible point of contact. The next step up is to implement an omni-channel approach. Unlike the silo model of the multi-channel setup, the omni-channel experience provides a seamless transition from one point of communication to another without any information loss. 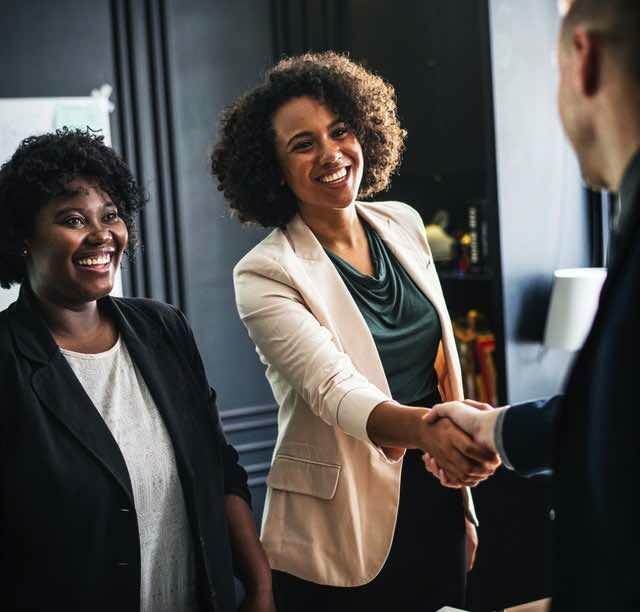 Whichever communication method you apply to your business, you must maintain brand consistency in order to provide a great customer service experience. Online and in-store experiences should provide the same quality, efficiency, speed and friendliness for every customer. And they should be seamless across channels. Developments in technology leave no room for excuses as to why you don’t use them. Technology streamlines operational processes, reduces errors and maintains consistency across your organization. The use of customer relationship management (CRM) software has become a requirement to better handle user information. Many of them are available at very affordable prices; some are even free for small businesses to use. This software can monitor user activity and organize information you can use to create a great customer experience. There are also several tools including chatbots with AI features that can supplement your workforce. Online stores and websites have chat widgets customers can use 24/7 for inquiries. However, you should not depend on these to handle customer service all the time. Instead, look at them as temporary staff while waiting for an actual employee to reach out to the online user. It’s nice to have technology by your side, but nothing beats human interaction. This is why your employees should be trained to handle any situation with empathy, energy and sincerity – traits that are difficult to replicate with the monotonous tone AIs use. People give little attention to generic messages and ads. And for good reason, since many have given private information when they subscribe to company newsletters and updates. That being said, customers expect to receive personal offers that are filtered according to their preferences. Consider your employees as the first customers of your business. They have to believe in the product or service you sell before they can convince others to do business with your brand. Without this mindset, employees won’t have the enthusiasm to tell people how great your offers are. Even though you aim to become a customer-centric business, you should focus on improving the lives of your employees first. Keep them happy and well-provided for, and positivity will naturally radiate and reach your customers. 7. Be receptive to feedback. If you want to offer an exceptional customer experience, be open to criticism from your consumers. As the ones purchasing your products and services, you must listen to what they say satisfies or dissatisfies them about your brand. Instead of shying away from responding to customer feedback, invite people to share their thoughts in order to better understand your customers’ perspectives. An efficient way to gauge your performance is by implementing a mystery shopping program. SeeLevel HX is a market research and mystery shopping agency equipped with the resources and tools required for conducting an objective and comprehensive evaluation of your operations. Feedback from professional mystery shoppers is compiled and analyzed to generate actionable insights you can use to improve your customer experience and service. The best organizations are able to turn negative experiences into productive and positive ones that keep customers coming back for more. They are able to quickly identify areas for improvement and efficiently respond with strong solutions to strengthen customer loyalty. 8. Think small to win big. Customers expect you to deliver a service or present a product as promised. Nothing more, nothing less. A minor deviation from what they see in the ads can cause disappointment, even though they already know marketing can exaggerate offerings. But what if you flipped the coin? What if you exert a bit more effort than expected? When expectations are exceeded, customers feel more loved than usual. You may think this will only help you step 1% ahead of your competition, but at the end of the day, you will still be on top and keep customers loyal. According to Jason Bradshaw, Volkswagen Group Australia’s director for customer experience, focusing on the little things is what makes a great customer experience possible. Contrary to popular belief, delivering a great customer experience isn’t about doing something extravagant to wow consumers. Providing them with a little extra above their expectations, and doing this on a consistent basis, is the key to giving the best customer service experience ever. This may be a bit anticlimactic since many think flashy gimmicks and overgenerous pampering are what individuals consider part of a great customer experience. However, these stunts are not elements people look for in a brand. Consumers value consistency over nonessential ploys they know will not last. Improving operations and customer satisfaction by 1% seems like an easy feat, but increasing your organization’s overall performance by this much can be a daunting task. Every aspect and every employee in the company has to work towards this improvement to increase your brand reputation and therefore customer loyalty. Collective effort is necessary to bring forth progressive change that will deliver a great customer experience. A brand that provides a great customer experience can stay ahead of its competition. By striking the right balance between consistency in service delivery, usage of appropriate technology and openness to receiving feedback, your organization can learn to improve your brand reputation and offer an exceptional customer experience. Identify the strengths, weaknesses and opportunities of your organization with the help from a market research agency like SeeLevel HX. Our comprehensive and insightful reports can help you pave the way to providing a great customer experience. We’re just a call or message away, so why not learn to become an industry leader today?